The British Coatings Federation (BCF) Marine Coatings Group says there is a concern that authorities may decide to restrict the application and use of antifouling (AF) paints to strictly professional applicators and organisations. This is due to the concerns over the hazards related to these paints and would mean that the common current practice of boat-owners applying AF paints to their vessels (the ‘DIY’ market) would no longer be permitted. The survey consists of four separate (similar) questionnaires, each designed according to the target respondents: one for the boat-owners; one for the chandlers; one for the professional applicators; and one for the boat yard managers or owners. 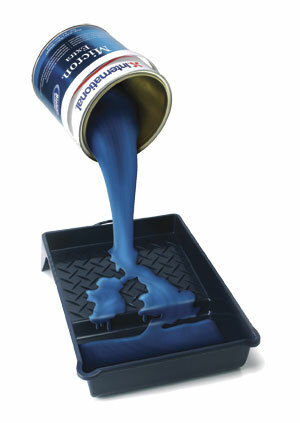 The responses will form the basis for a report from the BCF, providing an overall picture of the DIY application of AF paints in the UK, which may then be used as a basis for determining what further support activity is required, for example education tools on hazards and the use of PPE, potential need for advocacy to defend the use of AF paints in the DIY or leisure sector. Tom Bowtell, BCF’s chief executive officer, said: ‘In our experience, regulators will always assume the worst case on the grounds of the precautionary principle, especially when there is little evidence to support an argument. ‘That is why we need to survey those involved to gather that evidence, and help convince Government and authorities that boat owners can use antifouling paints in a responsible way. The BCF is the sole Trade Association representing the UK paints, printing inks, powder coatings and wallcoverings manufacturers. Royal Yachting Association (RYA) cruising manager Stuart Carruthers said: ‘Antifouling paint has an important role to play in combatting the spread of invasive non-native species (INNS) and other harmful organisms but, by its very nature, antifouling can also pose a risk to humans and to the environment. The use of biocides like antifouling are therefore closely regulated under EU law.